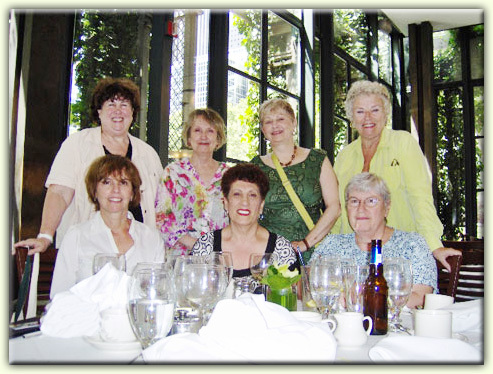 Seven AWONers got together in Manhattan to welcome Hope Maloney of Connecticut to active membership in AWON. They met at the Bryant Park Grill, which is in the park just behind the big public library on Fifth Avenue. Everyone in the photo, including Betsy Harris, who is not pictured due to having to leave the gathering early, plan to attend the Tucson Conference, with the exception of Millie Cavanaugh who will be missing her first conference ever. Thanks for the photo to the waitress at the Grill; event and photo submitted by Maggie Malone.